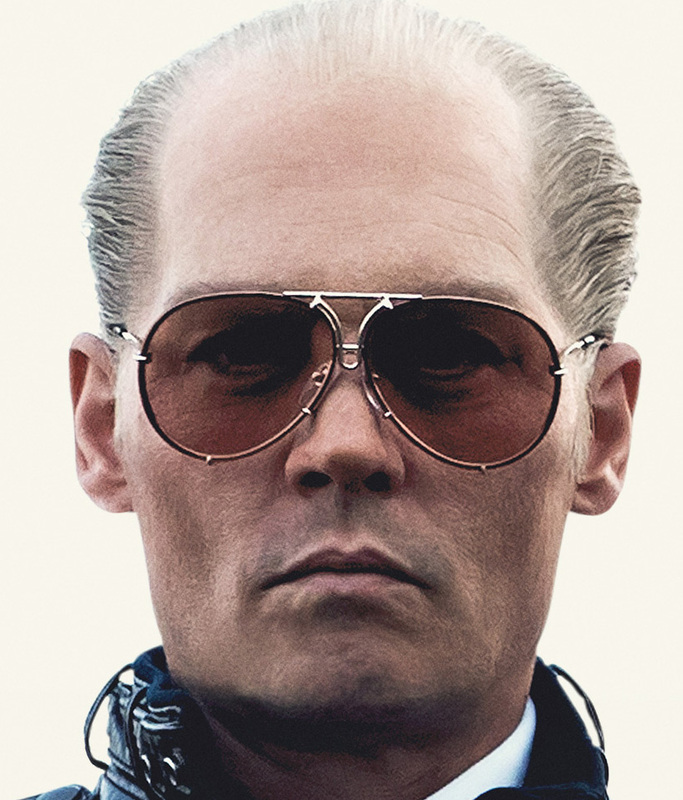 Johnny Depp wears Porsche Design by CARRERA 5623 sunglasses in the movie Black Mass (2015). These vintage 1980s sunglasses have a gold frame and brown lenses. 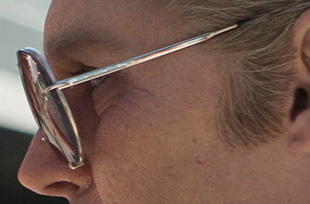 Most of the frames in the film have been provided by Old Focals, a company that provides eyewear to films and series. 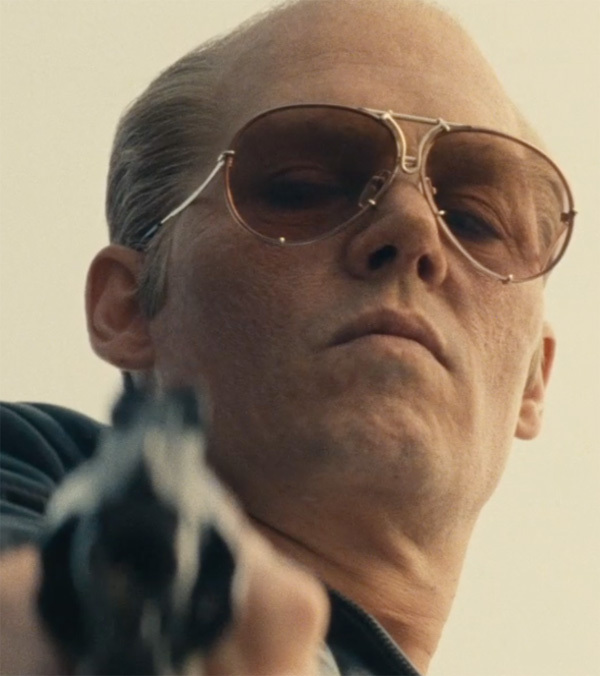 The film Black Mass depicts the true story of Whitey Bulger, a prominent leader of organized crime in South Boston. Whitey is the brother of Massachusetts State Senator William "Billy" Bulger. Following a string of violent acts, he becomes an FBI informant for 30 years in order to take down a Mafia family invading his turf. The film focuses on the period of the late 1970s and early 1980s, as Whitey was solidifying his position as leader of theIrish-American Winter Hill Gang. You can still find these vintage sunglasses online, for example on the excellent website Vintage-Sunglasses-Shop.com or on eBay.